The colorful Atlantic kitten paw (Plicatula gibosa) seashell is a favorite to find along Florida beaches. I may have found one or two on my travels to the east coast of Florida, but I started a little collection when I visited Sanibel Island. The kitten paws are small and colorful with bumpy ridges that fan out like fingers. Their color is usually a peach or coral orange, but can be reddish or yellow. 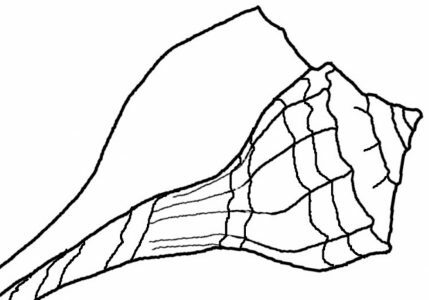 The raised bumps of color are marked with thin lines, while the base of the shell is whitish. The Kittenpaw is a scallop, like it’s larger counterpart the famous Lion’s paw, which can grow to become 6 inches long. You are much more likely to find a kitten than a lion. But both types can be found on southern beaches. In my photo, with a white daisy as reference, you can see that the kittenpaws are only around an inch in size. Because of their wide ridges they stand out as being easily identifiable. 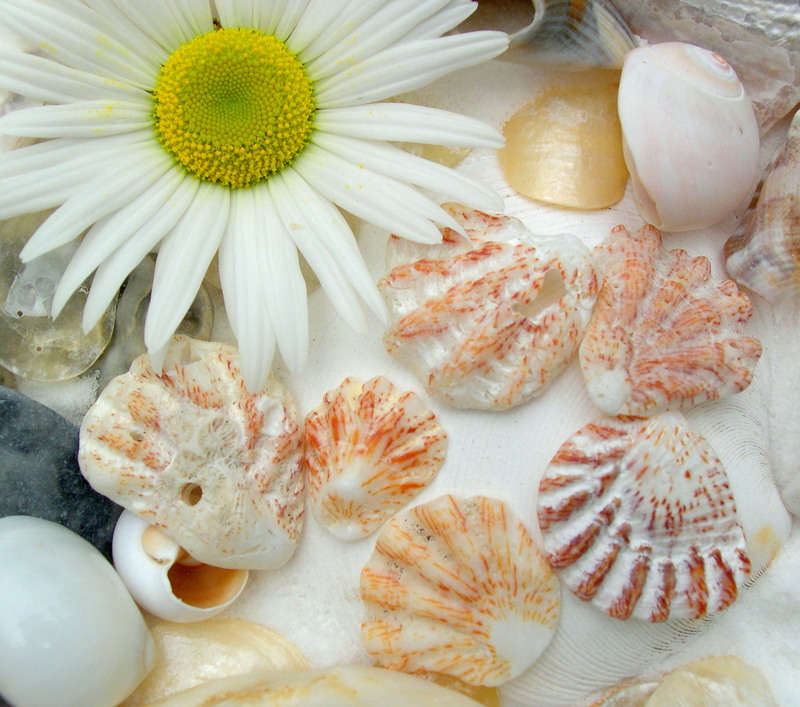 Find the cute kittenpaw shells along almost every beach in Florida. Because the west coast, around Sanibel Island, has such an abundance of all types of shells, it’s probably easiest to find a wide selection of the kittenpaw there.